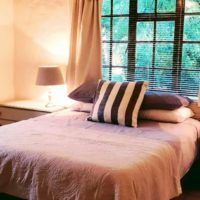 Ideal for two couples or a family requiring self catering accommodation Plettenberg Bay [Sleeps 4]. A delightful cottage hidden amongst the trees. Hill Cottage has two bedrooms, 1 with twin beds and shower en-suite and one double bed with a shower room off the open plan living area. 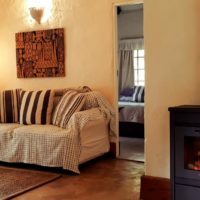 The cottage has an open plan ground floor area and an enclosed (and very private) deck to the front as well as a terrace to the rear for dining alfresco. 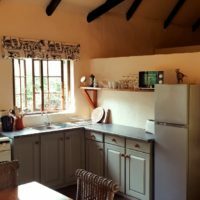 The cottage itself, is positioned amongst many shady trees for real privacy, dappled views of the farm will surely tempt you to take a walk and explore the farm and indigenous forest. An open plan living area with outdoor living space to catch the rays of the African sun and enjoy an evening braai (BBQ) and sundowner. 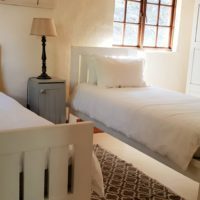 We can provide a light clean on the cottage, Mon – Fri excluding public holidays and weekends f0r an additional R50 per hr, please book ahead of schedule if you are staying in high season. 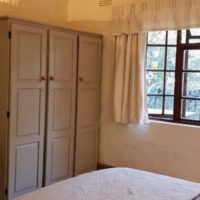 Please note that our cottages are not equipped with washing machines as water is our most precious commodity but we do offer a wash and go laundry service if required. As a sustainable agri farming enterprise we encourage a green room policy. Towels are therefore changed only when you need them and not on a daily basis. For longer stays, linen is changed every 7 days or longer if you prefer. 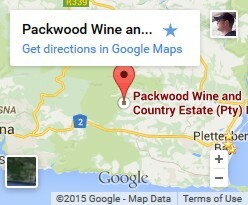 We ask anyone using the pool to show consideration at all times particularly to the guests residing at Bottle Brush cottage and the main house who overlook the pool area. Braais, music and private parties around the pool are prohibited as this is a peaceful area for everyone to enjoy.